The Luminarias Restaurant, 3500 Ramona Boulevard, Monterey Park, CA 91754 was cited for refilling Liquor Bottles on December 13, 2017 by the California Department of Alcoholic Beverage Control. Refilling Liquor Bottles is an offense that can be serious. If the Liquor Bottles are refilled, the label on the bottle no longer reflects the contents of the bottle. Liquor bottles are numbered so that the contents can be traced back to the distillation batch in case a health or safety issue arises. When a liquor bottle is refilled the contents can no longer be trusted. Only the person who refilled the liquor bottles knows the true contents of the bottle. Refilling a liquor bottle is a violation of State and Federal Laws. When the Luminarias Restaurant, 3500 Ramona Boulevard, Monterey Park, CA refills liquor bottles, they are not only in violation of the law, but also in violation of the customer trust. Liquor Establishments refill liquor bottles for many reasons, but mostly to increase profits. Liquor bottles that are refilled can contain a substitute brand, they could be mixed with water or another mixer, or they could be filled from a larger bottle of the same brand. Even when filled from a larger bottle of the same brand, this is a dangerous practice. If the liquor is recalled because of a health issue, such as contamination or the wrong proof, the liquid in the numbered bottle no longer match the batch numbers. 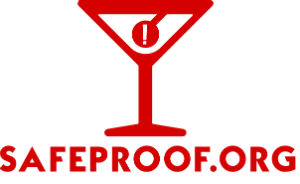 This is a warning to SafeProof.org readers that Luminarias Restaurant, 3500 Ramona Boulevard, Monterey Park, CA 91754 has been cited for the unsavory practice of refilling liquor bottles by the California Department of Alcoholic Beverage Control.